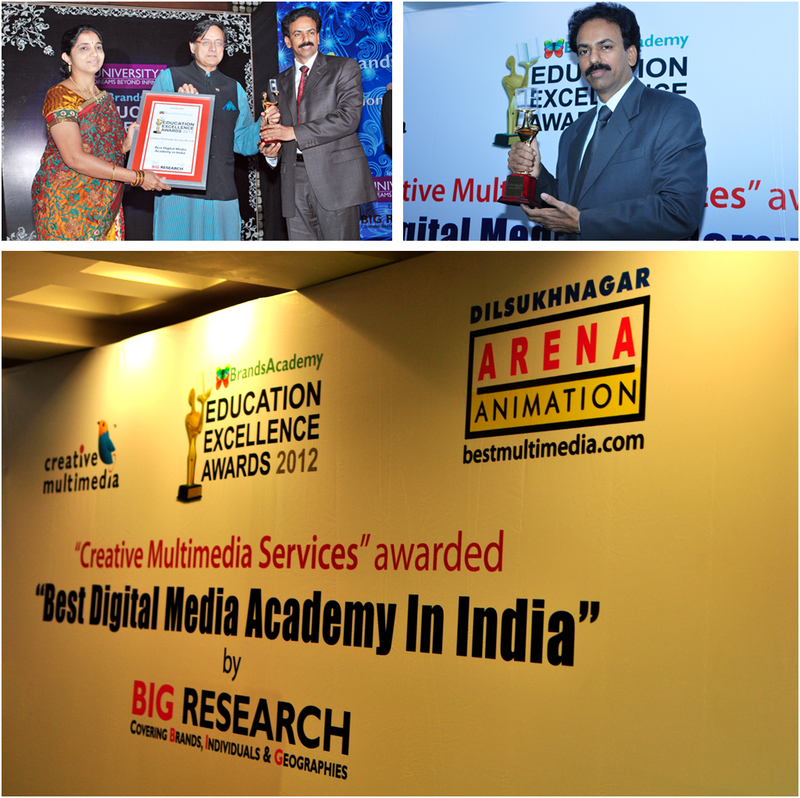 Dilsukhnagar Arena hogs the limelight at SFFV-2011; Wins 5 awards for its Animation short films. 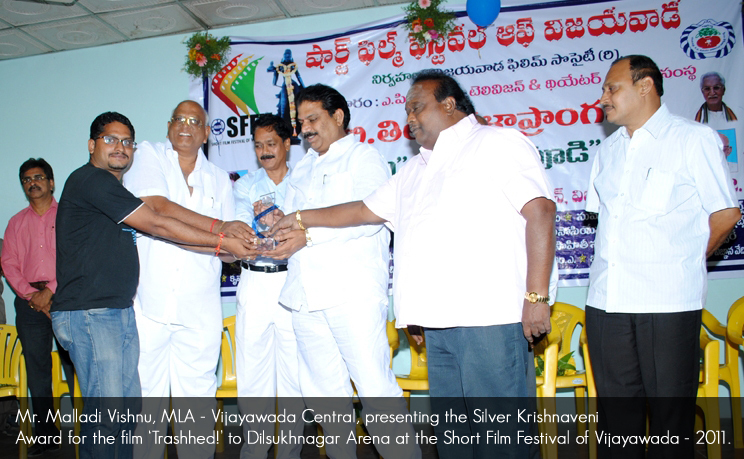 Dilsukhnagar Arena made its presence felt at The Short Film Festival of Vijayawada (SFFV) -2011 by winning 5 awards. The festival was held on April 5 and 6, 2011 at KL Rao Bhavan, Governorpet, Vijayawada. 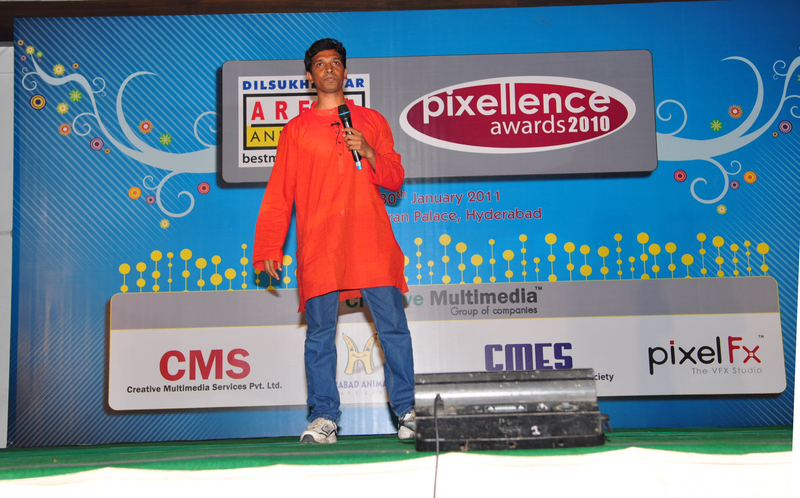 Dilsukhnagar Arena’s student Animation Short Film ‘Trashhed’ bagged the ‘Silver Krishnaveni Award’ for Best Short Film. Dilsukhnagar Arena’s student Animation Short Film ‘Trashhed’ bagged the ‘Silver Krishnaveni Award’ for Best Short Film. Mr. Malladi Vishnu, MLA, Vijayawada Central presented the Silver Krishnaveni Award along with a cash prize of Rs. 10,000 to Dilsukhnagar Arena in the presence of Mr. Jampa Krishna Kishore – Vijayawada Film Society Secretary and C. Uma Maheshwara Rao – Jury chairman and Film Director. This is the second accolade for the Animation short Film ‘Trashhed’. The film previously won the first prize at the International Film Festival, Nagpur apart from two prestigious nominations at the Aarohi film festival, Mumbai and the 16th International Children’s Film Festival, Mumbai. The film ‘Trashhed’ uses humour to stress upon the need to keep our surroundings clean. The film was created by Pranay Bura, Ravi Kiran Reddy, Srinivas Reddy and Varun Kumar, four students from Dilsukhnagar Arena. Four other Animation films – ‘Chamki’, ‘A Garden Dream’, ‘Fuel Duel’ and ‘Feel the Punch’ created by students of Dilsukhnagar Arena won Special Campus Prizes at SFFV-2011, taking Dilsukhnagar Arena’s tally to an unbelievable five. Each of these films received a cash prize and a Certificate of Merit. SFFV-2011 attracted 117 entries in the open category from budding film makers across the country: Kerala, Maharashtra, Delhi, Karnataka, West Bengal, Andhra Pradesh, Uttar Pradesh, Madhya Pradesh, Orissa, Gujarat, Goa and other states. The Short Film Festival of Vijayawada SFFV-2011 was organized by The Vijayawada Film Society (VIFISO) in association with Andhra Pradesh State Film, Television and Theatre Development Corporation (APSFTvTDC). The two-day festival was held at The Institute of Engineers India, K.L.Rao Bhavan, Governorpet, Vijayawada. Screening of nominated films happened on the first day. The awards ceremony was held at 6.00pm on April 6, 2011. The festival aims to generate awareness about all forms of pollution, promote conservation of precious natural resources and to provide a national platform for budding film makers to showcase their talent apart from furthering tourism and business in Vijayawada. ‘Feel the punch’ – Dilsukhnagar Arena’s 3D Animation Short Film was chosen for BEST OF THE WORLD/SHORTS Sessions of the MONSTRA 2011-Lisbon Animated Film festival to be held from the 21st until the 27th of March 2011 at Lisbon, Portugal. The result of an internship project by a team of 22 students of Dilsukhnagar Arena, Hyderabad, ‘Feel the punch’ was animated in 40 days and has already won several awards at various Animation Film Festivals. Having been selected for BEST OF THE WORLD/SHORTS Sessions of the MONSTRA 2011-Lisbon Animated Film festival, the film will be screened to international audience during this prestigious week-long festival. The MONSTRA | Lisbon Animated Film Festival is a venue where animated film meets other media and other arts, aiming to participate in the expansion of multiple aesthetic and narrative readings, possible due to its cinematographic, technological and creative aspects. Films are admitted for competition, dedicated every other year to feature and short films. In 2011, the admitted categories for the competition are Animated Feature Film and Student Animated Short Film-Rajasekhar Buggaveeti. A High-Definition 3D Animation short film put together by a team of Animation interns at DNA Inc. (Dilsukhnagar Arena Incubation), ‘Cecelia – The Balcony Girl’ is just the kind of project, aspiring CG Artists yearn to work on and include in their all–important ‘demo-reel’. Digitized with extreme attention to detail, ‘Cecelia-The Balcony Girl’ is a project that sets the standards for High-Definition 3D Animation short films in India . The consummate CG skills of the team of 22 Animation students is evident in every frame of the film, thanks to the profound training from perhaps the most sought-after CG Mentors in the Animation industry. The film is attracting immense appreciation from diverse quarters of the industry and is a testament to DNA Inc.’s highly result-oriented CG internship program. This is the 5th Animation short film from DNA Inc. and all the previous 4 films, some multiple award-winners, have been crafted by students with no production experience at all. This is what DNA Inc. has set out to achieve with every batch of interns; transform young talent into experienced CG Artists ready for the studio. DNA Inc. does this by assigning film projects to budding Animation students, familiarizing them with the production pipeline and equipping them with sufficient production experience to hit the ground running as they hunt for careers in Animation, Modeling & Texturing, Rigging, Lighting & Compositing and other specialization across the CG talent spectrum. Upon successful completion of internship at DNA Inc., participants receive an internship certificate authenticating their industry-ready CG skills. And on the strength of their production experience, candidates can seek rewarding job opportunities at leading Animation Studios across the world. Outstanding talent may benefit from lateral entries and leapfrog into big positions at the very beginning of their careers.